“The meeting of two personalities is like the contact of two chemical substances: if there is any reaction, both are transformed.” Carl Jung. The crowning glory of the day comes when you stand tall among your fellow men having done the deed, and have emerged unscathed. No, I am not referring to the battles among the siblings, but to the inevitability of life. Change is the only real thing and when the season turns to harvest time, Valentines pop up from behind every bush in the countryside. Champagne like love is a unique transformation of grape juice. It is a sparkling wine and was associated with the coronation of kings in France in its initial stages. It grew in popularity because the middle class through the 17th to the 19th centuries, identified this sparkling bubbly with power and luxury. 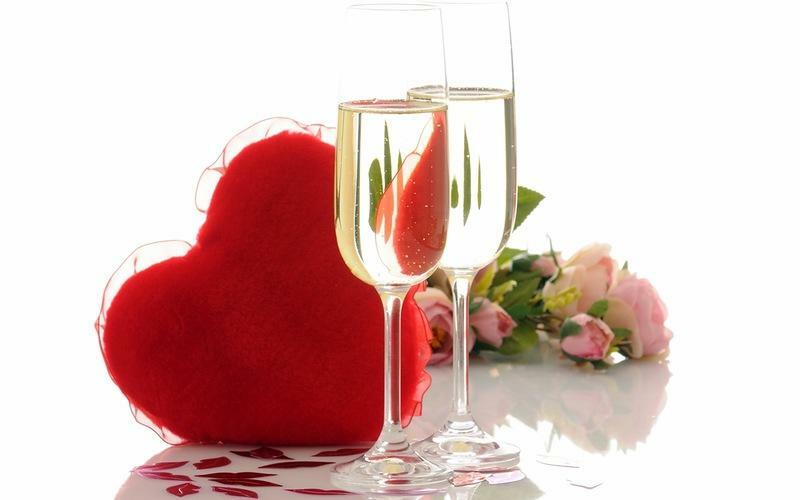 Valentine’s Day is perhaps the second most celebrated festival the world over next only to New Year’s Day. It is natural to draw parallels between the two famous identities, the drink and the day. The day is celebrated in honor of the martyred St.Valentine who popularized the phrase “from your Valentine”. It is only fitting to note that St.Valentine was famous for conducting marriages between lovers during the oppressive period of the Roman rule around 269 AD. 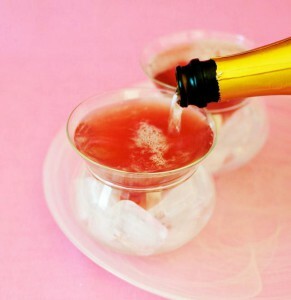 However, love like champagne should be tasted in moderation. “When love is in excess it brings a man no honor nor worthiness” said Euripides in his Medea in 431 BC. There is no horizons for lovers and the season brings its madness and of course there is a little madness in love. “Love is the triumph of imagination over reason” by H.L.Mencken perhaps sums up the logic best. To join in the celebration one should only drink the best wine, the champagne. Let us take a look at some of the best champagnes. These are blended wines and are the best wines that the particular company has (http://en.wikipedia.org/wiki/Brut_champagne). It is known as a prestige cuvee. Some of the best ones are given below. This costly champagne is reserved for that special occasion. It is outstanding with rich aroma of nuts and roses mingling with the pear flavor. It is a non vintage sparkling wine which has quality. It is economical and has a rich aroma of pears and apples with flavors of spices mixed in. This is another brand which offers good quality. It has fruit-nut mixed aroma with rising citrus notes. Some people find that there are cheaper brands offering the same quality like the Roederer Brut Estate NV. 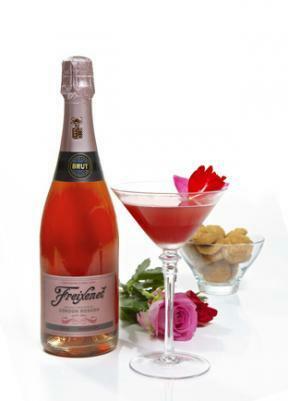 It is a sparkling champagne blend which has currant, strawberry and dark cherry notes. The flavor also contains suggestions of blackberry and cassis. It has an overall creamy texture that lingers. This is a two-thirds composition of Pinot Noir which after two years waiting period shows a characteristic note of fresh bread. It is added to one-third Chardonnay and this gives the mango lychee nut flavor. It has cherry and plum as its dominant notes. This champagne blend has a lively morello cherry or pomelo flavor and rising notes of fresh strawberries. There is a sophistication in the aroma like that of a home made jam along with hints of cinnamon and pepper. This is a classy champagne which has a matching price to boot. It is full bodied with aromatic notes of honey, walnuts along with white fruit. It is full bodied and rich in flavor. This is an economical drink with loads of quality. It is dry and clean and has peach, nut and pear notes. This is the most economic bottle and has good quality. Goes well with seafood, or rich dessert. It has hazelnut, butter, and green apple notes. Do not be afraid to enjoy yourself, for if you stop to think about the lookers-on, you would have to wait forever to get their approval. “Those who danced were thought to be quite insane by those who could not hear the music,” Angela Monet. Somebody essentially help to make critically articles I might state. This is the very first time I frequented your website page and up to now? I surprised with the research you made to create this actual post extraordinary. Fantastic process!